I first stumbled upon this recipe from Safeway Supermarket back when I was staying in the United Kingdom. Being a novice in preparing and cooking lamb, it was such a useful guide. What fascinated me about this recipe was it was unlike the usual recipe which uses rosemary, as I was no fan of this herb then. 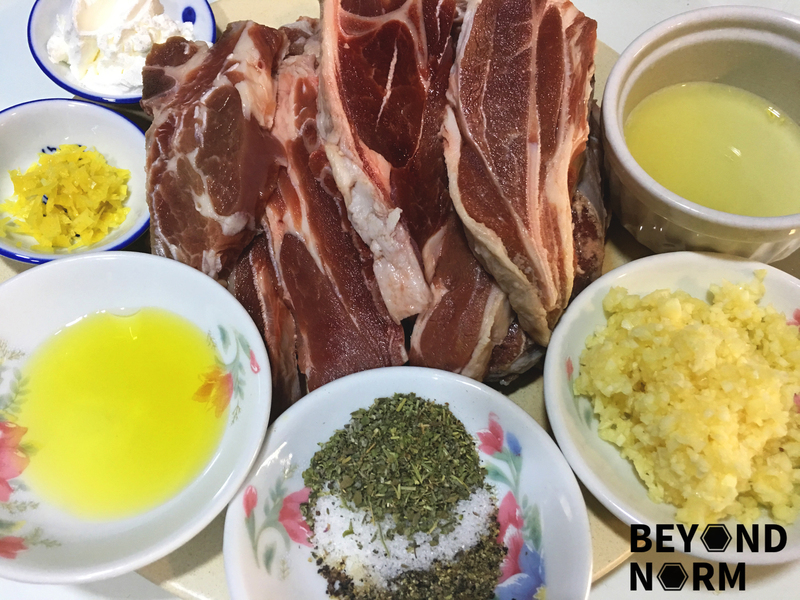 I believe that you will absolutely fall in love with this dish, even if you’re a lamb “hater”, because the smell of the lamb is so well covered up by the garlicky and lemony marinade. Are you someone who loves food or cooking but are always stuck in a food rut, like experimenting new ways of cooking chicken or beef to impress your family or guests, why limit yourselves to the same types of meat? 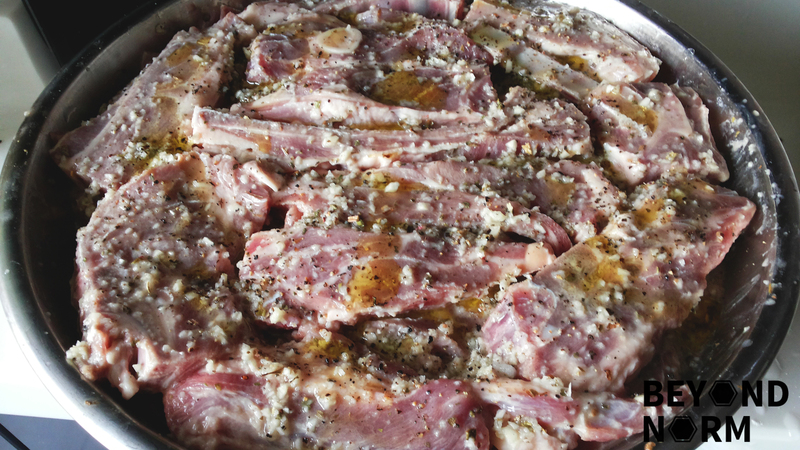 How about broadening your horizons by adding lamb into your menu for this festive season? 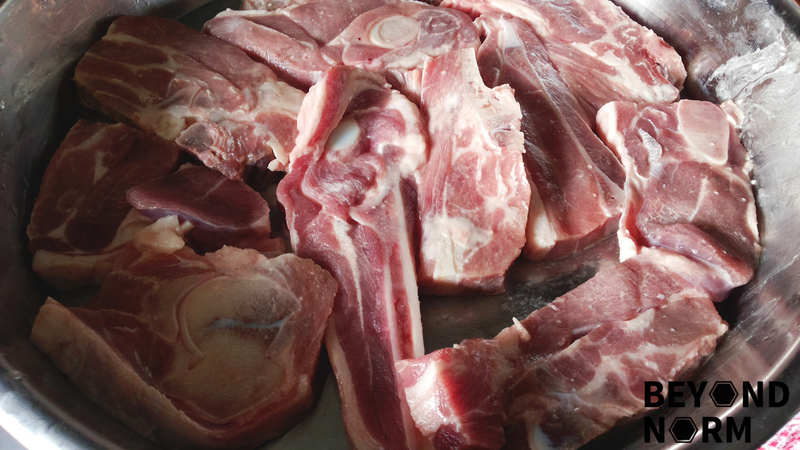 However, be mindful that though lamb has protein, minerals and vitamins which are beneficial to our bodies, it also has saturated fat, calories and purines which can hurt our bodies if we eat it excessively. Hence always eat moderately and enjoy the benefits of it!! Hope you will try this recipe! Be generous and give us some feedback/comments via our blog. We would also like to welcome you to join our Mummy’s Kitchen Facebook Group for food lovers like you, whether newbie or veteran. You can like us on Beyond Norm’s Facebook Page and subscribe to our blog. Follow us on Instagram and YouTube @beyondnormblog to get the latest updates and videos. Rinse then pat the lamb dry. Rub the cornflour on the lamb to tenderise the lamb. This is an optional step. If you do not want to do it, you can skip this step. Place them in a tray. 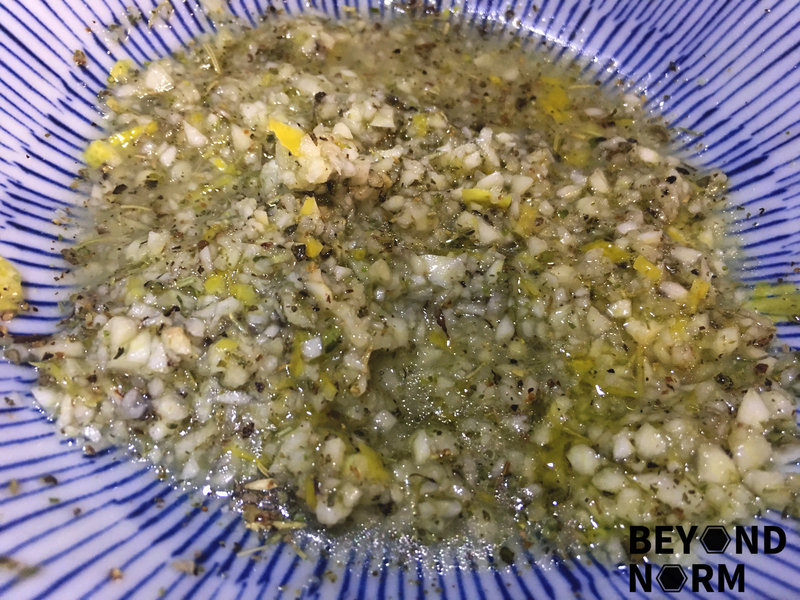 In a small bowl, combine the rest of the ingredients to make the marinade. Rub the marinade onto both sides of the lamb. Cover and refrigerate for 2 hours, turn over, and refrigerate for another 2 hours or more. Personally, if you can afford to, marinate the lamb overnight to yield the best results! Preheat the oven at 180⁰C. Bring the lamb out of the refrigerator and allow it to come to room temperature. Grill the lamb for about 6 to 8 minutes or till your desired preference on both sides. Remove the grilled lamb and place onto a serving tray. Gather all the juices in the pan and any other marinade and bring them to a boil to make it into a sauce. 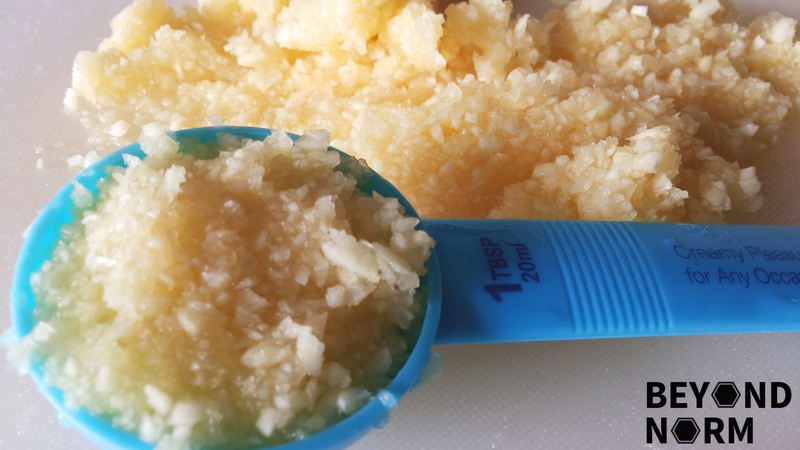 The recipe has since been revised by me according to our family’s liking! !